Two Atlantic City women are giving a dozen locals artists a chance to shine. 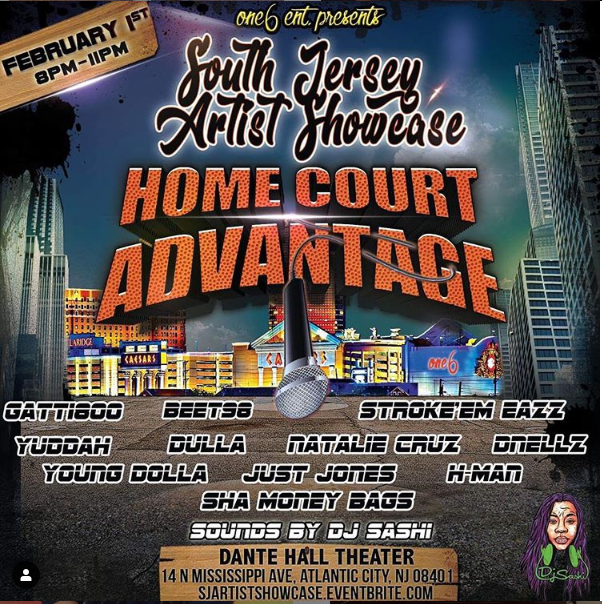 “Home Court Advantage” is the first artist showcase presented by One6 Entertainment. The company is owned and operated by Sasha Jackson and Annalysa Coleman. Jackson and Coleman credit creativity, passion for the arts and music with their decision to create the company in 2015. Coleman brings a background in creating and hosting events. The two believe their partnership will create many outlets for the talent within the community. The event is scheduled from 8 to 11 p.m. Friday at Dante Hall in Atlantic City. Tickets are $10 for general standing admission, $15 for seats and $20 for VIP seating. They are available at sjartistshowcase.eventbrite.com.